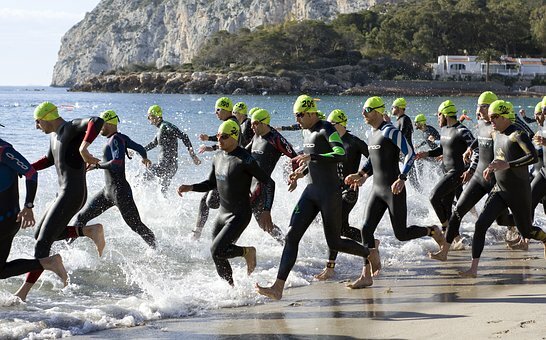 As a sport, Triathlon is notorious for testing limits. Here’s a look at some triathlete heroes and their extraordinary achievement. These people have practically risen against all odds to stand as a testimony to unbeatable passion, strength and courage, in life and on the tracks. A dietician by profession, and a triathlete for two decades, Karen Newman was diagnosed with Stage 3 breast cancer in 2008. Years of hard work had just earned her a slot in the World Triathlon. Championships in Vancouver, Canada. Grappling with the diagnosis and much against several doctors’ advice, Karen not just participated, but completed her first triathlon world championship, in which she saw several participants being pulled out of the ice-cold water. Encouraged by this success, she began training and competing in multiple triathlons unfazed, despite the debilitating chemotherapy treatments. Her focus and grit saw her win a silver medal at the Triathlon World Championships in Auckland, New Zealand, in 2012, followed by a triathlon world record at the Huntsman World Senior Games in Utah in 2013. On Mother’s day in 2016, after being cancer free for 3 years, cancer made a comeback, having metastasized to her pelvis and spine in the form of tumors. “The greatest trials are the greatest triumphs,” she said. “Trials push us to another level.” Four months of radiation treatments later, in the September 2016, her performance in the Triathlon World Championships in Mexico earned her fourth place in the world for her age division. In June 2017, the cancer returned again. “Cancer brings life into sharp focus,” she noted. “It’s a reminder not to waste a single minute.” Karen continues to power on, despite all odds. Meet 38-year-old Brick, New Jersey resident, Christine Conti, who was diagnosed in 2012 with the aggressive autoimmune disease known as Rheumatoid Arthritis. The constant swelling and excruciating pain would often render her unable to use her fingers, hands, and wrists. She never imagined that what started out as part of her ‘bucket list’ would eventually be her biggest triumph. With no real expectation and before her body failed her, she decided to run a marathon. Since then, Conti has added 30 completed marathons to her resume, including five Boston marathons. She entered the Jersey Girl Triathlon in 2017, crossing the finish line first but placing second in the race. This inspired her to expand her bucket list. 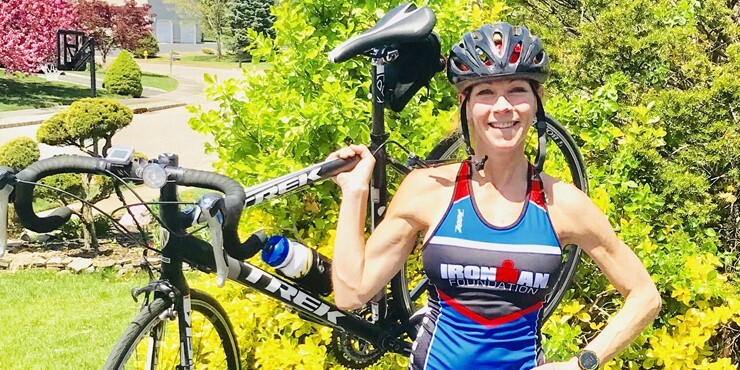 She was appointed to compete in the well-known Ironman triathlon race in Lake Placid on behalf of the Ironman Foundation. The message she wants to give others facing rheumatoid arthritis: Don’t stop moving. About two years into his rehabilitation, Morgan joined the Challenged Athletes Foundation (CAF). CAF’s Operation Rebound program funds equipment, training and travel expenses for injured first responders, troops and veterans of any branch of service. In 2006, Morgan was invited to swim as part of a relay team for CAF’s annual San Diego Triathlon Challenge (SDTC). Despite nearly 40 surgeries, he was able to complete a 1.2 mile swim. His focused efforts got him selected to the U.S. national triathlon team. In 2008 and 2009, he competed in the Ironman Triathlon 70.3 California using a handcycle and racing chair. After a short break from triathlon to focus on raising his kids with his wife, Morgan returned to it for April 2018’s Ironman 70.3 Oceanside, where he won by an hour and improved his own bike time on the course. He competed at Ironman 70.3 Buffalo Springs in June 2018, and the North American Handcycle Championship, where he hoped to carry his Quest for Kona to completion. Multiple Sclerosis, 12 years ago, and was initially convinced that the rest of his life would be spent in a wheelchair. 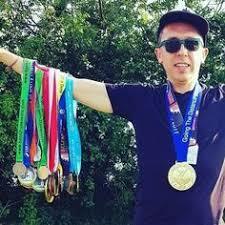 Conor has completed 10 Olympic and sprint-distance triathlons, one Ironman, five Ironman 70.3 races, and eight standalone marathons. Triathlon inspiration stories are rather incomplete without the mention of 88 year old catholic nun, Sister Madonna Buder, a.k.a. Iron nun. 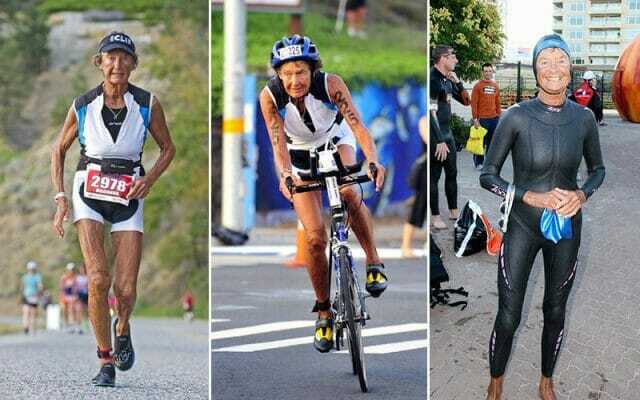 She was 52 years old when she competed in her first triathlon. Shocked? Brace yourselves as you read her achievements to date. This catholic nun has competed in more than 340 triathlons and 45 full Ironmans, which require swimming 2.4 miles, biking 112 miles, and running 26.2 miles. And at 88 years of age, she shows no sign of stopping. In 1996 when women’s wetsuits were not even introduced, she completed an Ironman triathlon fast enough to break the world record for 65 to 69-year-olds. She completed the 2005 Hawaii Ironman at 75 years old, obtaining the record of the oldest woman ever to complete the race. The following year, she went on to beat her own record. Amongst her several feats is being the oldest human to ever complete an Ironman triathlon, finishing the Subaru Ironman Canada race at age 82. The Ironman organization has had to add new age brackets as the Sister gets older. The Iron nun says that when she reaches the age group for posterity, she deserves a rest. These ordinary people have scripted their indelible success stories despite their age and their challenges, and show us that no obstacle should stop us from testing our boundaries. 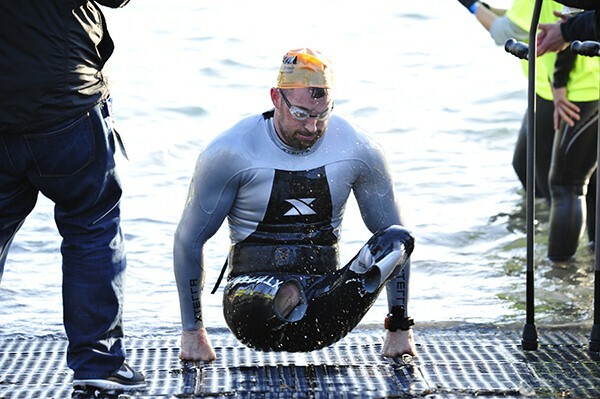 After reading these inspiring stories, if you find yourself motivated, it helps to know that we have the right triathlon wetsuits and gear for you, whether you are a novice or a trained athlete. This entry was posted in Triathlon achievers. Bookmark the permalink. 7 Celebrities You didn’t Know are Triathletes too!